Gorampa Sonam Senge (1429-1489) was one of the greatest masters and most prolific authors of the Sakya tradition of Tibetan Buddhism. Famous for consolidating and systematising the philosophical teachings of his school, his works are considered standard treatises which are still studied at all the philosophical institutions of his tradition and others. This text is one of his main on the Madhyamaka school of though. 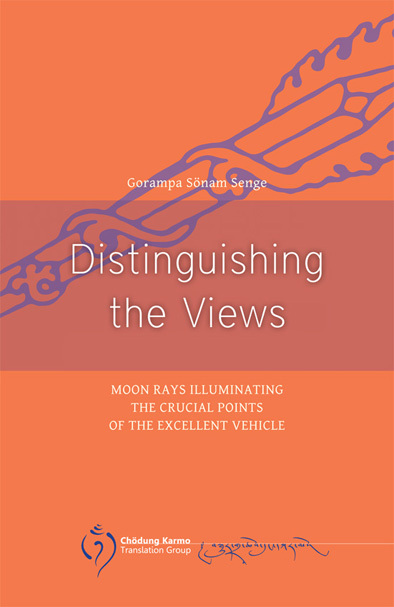 Gorampa starts by refuting two views of reality he holds to be mistaken, namely those taught by Dolbuba Sherab Gyaltsen (1292-1361), often regarded as the founder of the Jonang school, and by Tsongkhapa Lobsang Dragpa (1357-1419), founder of the Gelug tradition, He then presents the Middle Way according to his school, emphasizing its adherence to the original intention of the Indian tradition. This treatise offers a key to unlock the profound thought of one of Tibet\\'s greatest luminaries and most influential teachers.